A/N: Day six’s prompt was to write about someone we had met this last year. The twist was to make it a character study. I tried the twist but not entirely sure I did it right, found myself concentrating on me, the I, a lot as well. I parked my car in a spot in the very front of the building, to the right of the main door. I turned the car off, the music still quietly playing in the background and would continue to play until I opened the door. The door remained locked in place while I sat staring at the building before me. I hadn’t come to the this decision lightly. I was at the very end of my list of options. There was no one else that could possibly help me. I had tried everything from talking to family and friends to doing research alone on the internet. I had tried to just force myself to walk out there and talk to those I didn’t know. It worked for half of a second, the door I stood behind opening a crack and then slamming shut again. I had no idea what waited for me inside that building, behind her office door. I had seen the television romanticized version of talking to someone. The long leather couch with the buttons in the fabric that you laid on while spilling everything. Her sitting in a chair beside me, scribbling notes and giving out suggestions with long complicated words and theories attached. I grew up with technology and I knew that what you saw on TV was nowhere close to an accurate representation of what real life looked like. I didn’t know what was waiting but I knew I had to find out. I didn’t know what her reaction would be to my issue. What she would ask. What she would suggest. I could tell her everything, explain my whole social anxiety issue and she could just shake her head at me, scoffing at my “problem.” She could say that I didn’t actually have a real problem, that I was just being over sensitive. Tell me that there was nothing she could do to help me in anyway. I imagined hearing her say those words with disdain in her voice, and then feeling the door slam shut permanently, locked forever, trapping me inside my dark hole. I opened the door and made it past the entrance door. I knew that if I drove away that that was it, I was going to live inside these shadows forever. I found her name on a list inside the door and headed up the steps to her office door. It was a shared space. I walked towards the back where a small waiting room was set up and waiting for me. I sat down, knowing that this was my one chance to creak open that door again, let in a slice of light and see how it felt. I knew it would feel great and then I could push the door wider and wider until it stood completely open. I sat on the couch and fiddled with my phone in my lap. I hit the top button over and over again, the screen brightening and dimming like a dying flashlight. I crossed my legs and two-seconds later uncrossed them. I tapped the arm of the couch beside me, a hesitant rhythm, stopped and put my hands intertwined in my lap. After what felt like 20 minutes I checked my phone, it had only been two. Two more minutes passed before she walked into the doorway. “Brittney?” she asked, voice low. I looked up. An older woman, probably late 50’s, with short brown curly hair was standing looking down at me. Her mouth was creased in a small welcoming smile. “Yeah,” I said as I stood up. She offered a hand that I shook. Her palms were lined with age, cold but her grip was sturdy. She let go after a beat and ushered me towards her office. “Take a seat anywhere,” she pointed out the three choices, a desk chair, an arm chair and a couch. She remained standing beside the door as I choose. I sat on the couch and she choose the arm chair in front of me. “So what brings you here?” she asked, perching a legal pad on her knee. She rested a pen between two of her fingers, not poised to write but ready should she need it. She looked over at me, waiting for me to speak. Her eyes were gentle, almost expectant looking. She held me gaze with the small smile still on her face. She looked as if she was ready to hear a tale, interested and eager. She didn’t say anything as the seconds went by, just sat patiently waited for me to speak. I opened my mouth and told her everything. I explained that I had ended up here after a moment of rejection that had broken my spirit for a moment. I had tried to deal on my own, forcing myself into situations hoping that would fix something. I told her I was tired of just dealing and pretending I was okay with living inside of the shadows, scared to let the world hear the voice I knew I had. She just listened. She didn’t interrupt. Didn’t comment or ask questions. She just let me spill out every word and concern. She wrote something occasionally, always keeping one eye on me. Her expression remained neutral. No scowls of annoyance or disbelief, no cocked eyebrows asking, “Really?” No looks of anger or resentment. She just let me talk and she just listened. I finished and waited. She finished writing her final note and put her pen down. She surveyed me for a moment, her expression still completely neutral. “This we can fix. I’ve seen this before and you are already ahead. You came in here and were able to easily talk to me. That is a good start,” I felt my chest lighten as she asked when I would like to make another appointment. She didn’t tell me I was being dumb. She didn’t tell me there was nothing wrong and that this was how I was so I should learn to live with it. We set up another date and she told me to have a good day. Each appointment I went back feeling more and more comfortable. She greeted me at the same doorway with the same warm smile and welcoming attitude. She always asked how I was and even let me just chat with her for a moment. Each time I shared a fear or habit I knew needed to be broken she would hand out suggestions or advice. Never demanding I to do anything, always asking me if I felt like I could do the suggested idea. When I talked about how crazy I knew the fears I had were she laughed with me, not at me. She confirmed what I knew but never reprimanded me. Most importantly though she listened without bias. Never did she let her opinion intrude. We talk about what I could do to help myself. Not how she could help me and help herself at the same time. My friends and family wanted to help but they couldn’t have the detached listening ability that this woman had. She had no personal investment in my success or failure, she wanted me to succeed because I wanted myself to succeed. She praised my progress and only questioned how to help me through my set-backs. Never angry or disappointed, just curios how to help and ready with a suggestion. Each time was progress. I was leaning with my shoulder upon the door, using my whole strength to push it inch by inch outward. She was standing, on the door jamb beside me, giving me ideas and thoughts about how to let even more of the light inside. Pointing out where there were jambs or items blocking the path. She never laid her hands on the door itself, never got beside me and pushed, just told me how to move the door in the most effective way; where to lay my weight, where the weak points were. It was slow, but this immovable block was moving inch by inch each day. Soon it would be open, maybe not completely, but enough where I could wash myself in the light and revel in the warmth. 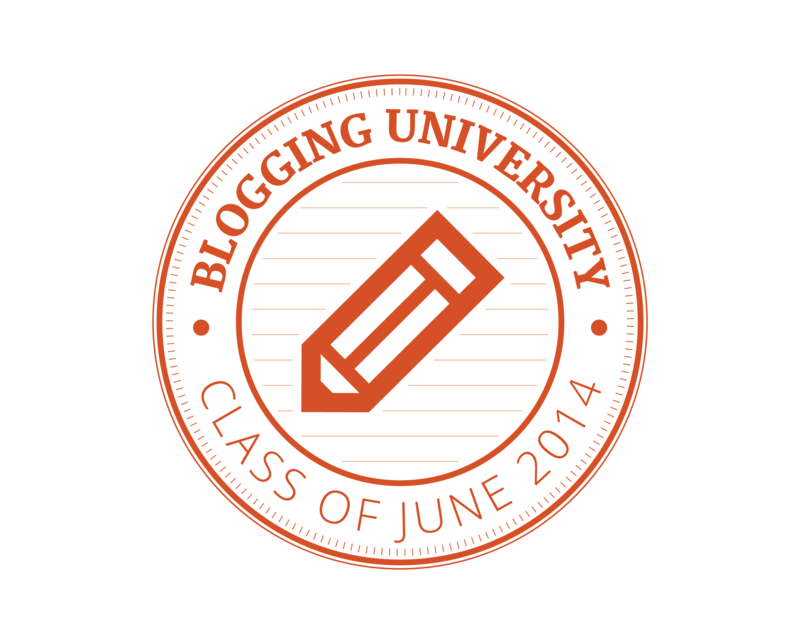 Posted on June 9, 2014, in Blogging University- Writing 101- June 2014 and tagged blogging university, character study, listening, writing 101. Bookmark the permalink. 3 Comments. I really enjoyed the read. In my personal opinion there is a good balance between “I” and “her”. As “she” goes in the story, as I read, I felt like she was a person with inner strength, wise with experience and perhaps age to a degree…a kin to a caring soul or kindred spirit.